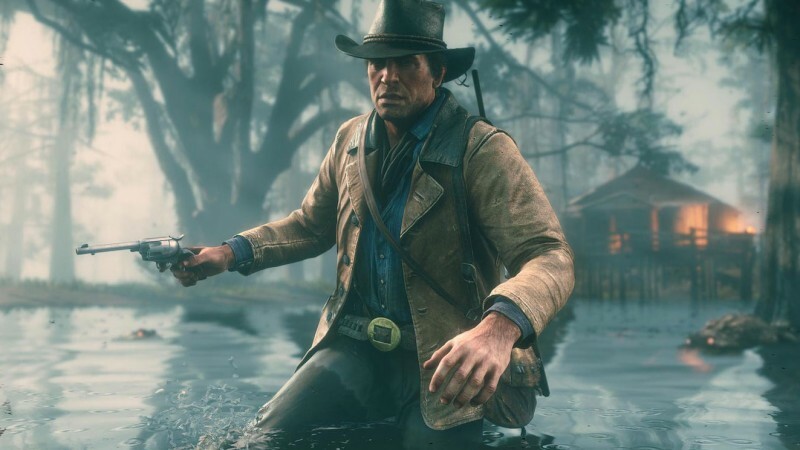 Rockstar released a slew of new images this morning, highlighting some of the locations players will be able to visit next month when Red Dead Redemption is released. In addition to the picture-postcard shots of each point of interest, the studio released a pair of new screens for each location, showing off some of the game's characters and some of the trouble they can get into. Take a look at the images in the galleries below, with text straight from Rockstar. Red Dead Redemption II is coming to PlayStation 4 and Xbox One on October 26. A key gateway into North America with a trade route that runs the length of the country, the bustling city of Saint Denis is a melting pot of cultures and people where businessmen, socialites, sailors, laborers, beggars, and thieves all live side by side. A raucous, rough-and-tumble town in the Heartlands, Valentine’s livestock auctions attract traders, ranchers, cowboys, gamblers, outlaws, and prostitutes from far and wide, all looking to make some money, raise some hell, and have a good time.